If you are ready to sell you don’t have to wait. Selling during the holidays doesn’t have to spell disaster. 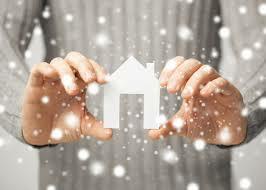 You may be surprised that there are advantages to selling your home in the winter! Traditional home buying and selling seasons have evolved because of instant internet access to property listings. While spring is still the hottest home-buying season, serious home buyers are always on the lookout, checking out the latest listings on their tablet before bed or while waiting for their kid’s football game to end. Today’s buyers do the bulk of their home searches online, and that’s especially true when the weather outside is not so cheerful. This means your online listing and photos are especially important. Make sure you use high-quality photos that show off your home’s selling points. Photos of the exterior in all seasons can help, as can including a video tour and night shots of the exterior with all the lights on. In the past 5 years in the Chicago market, existing home inventory has fallen an average of 35% from November to December. That’s 35% less competition on the market if you list your home during the winter! Buyers have fewer homes to choose from, which means you could sell your house faster. Nothing says welcome home quite like walking out of the cold into a nice, warm house that’s dressed up for the holidays. Admit it: Your home looks good this time of year! It’s easier to make a house feel like home in the wintertime. Here are a few tips to help you set the buying mood. Keep it simple. Decorations should accent—not overpower—a room. Less is more. You don’t want your Christmas tree to take up half the living room. Crank up the cozy. Light a fire in the hearth, play soft holiday music in the background, and prepare fresh-baked goods or mulled cider for guests. Shine a light outside. Winter days get dark early. Brighten your home’s exterior with outdoor spotlights. A few holiday lights are okay. Just save the Clark Griswold light show for next year. Remember . . . the nicer your home presents itself, the more likely it is to sell—and for more money. With all these advantages on your side, hopefully selling your home in the winter won’t feel so daunting. The trick is to price your home correctly, prep and photograph your home so it attracts online attention and shows beautifully. Let me know if you need help now or assistance in getting your home ready for the Spring market.